This beloved mainstay started out as a 14-stool counter in 1937. 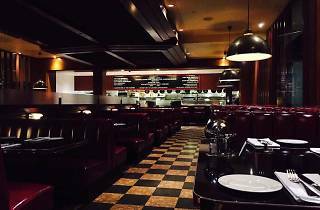 Following a fire in 2007, the family-owned establishment moved to North Beach and rebuilt with an open kitchen. 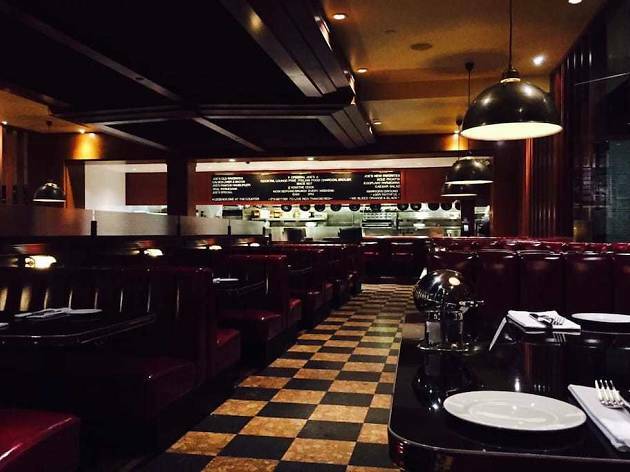 As the checkerboard floor and red leather booths suggest, the spot is known for classic Italian-American fare. That includes the generously-sized steaks, served alongside your choice of sides. Go for the 10-ounce flank steak or the New York steak—both are dry-aged and seared for a rich, lightly charred flavor.